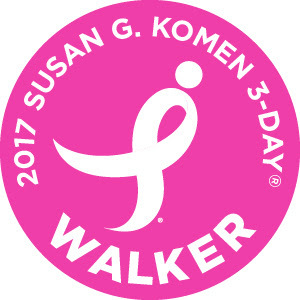 Thanks to Susan G. Komen 3-Day for sponsoring this post. As always, all opinions in the post are my own. A world without breast cancer is many a person’s dream, but it is Susan G. Komen’s promise to make that dream come true. As I mentioned in this post, I am both proud and honored to be part of the Susan G. Komen 3-Day 60-mile walk. While training for the walk is exciting, raising the minimum of $2300 to be able to partake in the walk is challenging, but nonetheless, they are both equally exciting and rewarding. I spoke about training for the 60-mile walk at length in my previous post. Now let’s talk a bit about why it is important to raise money for this great cause and where/how those $ are being used. And while at it, let me also share some ideas and tips to reach that fundraising goal. Susan G. Komen® announced a Bold Goal—to reduce the current number of breast cancer deaths by 50% in the U.S. in the next decade. That’s why we walk, and why we raise money—to make that goal a reality. Your Dollars at Work: How does Susan G. Komen utilize the contributions? “Since 1982, Komen has contributed to many of the advances made in the fight against breast cancer. We’ve transformed how the world treats and talks about this disease and have helped turn millions of breast cancer patients into breast cancer survivors. Asking for money is not merely to reach your fundraising goals, but it is a way to spread awareness and educate people about this ghastly disease, breast cancer. Ask (ask, ask), never miss an opportunity: First and foremost, reach out to your family and friends and let them all know that you are taking part in the 3-Day 60-mile walk. Share your training plan and progress with them to get them curious about the event. Once you have their attention, talk about donation and its impact. Social Media: Use social media channels to your advantage where you can not only spread awareness but also ask for donation. From posting status messages about the event to updating your profile pictures, there are several ways to spike people’s interest and get them involved in one way or another. Auction items: Have your family and friends donate goods for you to sell at an auction to raise funds for the event. It is also a great way to get rid of items which are no longer useful to you at home but useful to another family. Host a party: Throwing a party for any special occasion such as birthday, wedding, festivals, gameday is a common occurrence so why not host one and have your guests donate money instead of bringing gifts. Corporate matching: Many corporate companies have great gift matching programs where they match dollar for dollar up to a certain amount each year. Make sure your donors take advantage of it if they work for such companies. Local businesses & community events: Partner with local businesses to organize events and activities in your neighborhood. There is nothing more impactful than bringing people together and having them become a part of such a wonderful cause while also raising funds through various fun activities and games. 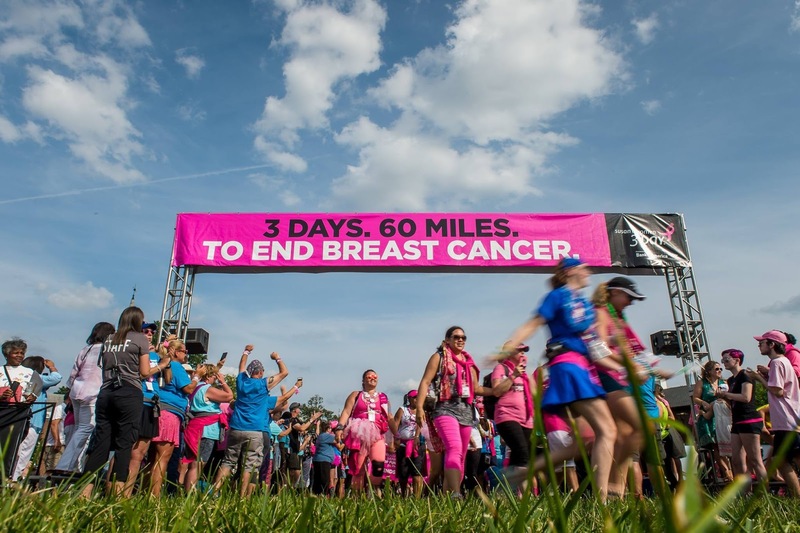 I am always looking for more creative ways to spread awareness and raise funds for a great cause such as the Susan G. Komen 3-Day 60-mile walk, so if you have any tips of your own, please do share them in the comments below. Having said that, will you give me my first donation? Please stop by this page and make any contribution possible. Remember, no contribution is small, every dollar counts and every dollar makes a huge difference. And be sure to spread the word and awareness about breast cancer, because, knowledge is power and that is half the battle.